Why do Africans wait until it is too late for our rescue? Right now most African oil producing countries are still fighting about which regions produce more oil. Areas that are not producing oil are exploring other regions for oil. Many of us lost our thinking faculties in hedonism, greed and are spread all over the world beyond value to Africa. So, Not Thinking Beyond Crude Oil. Only in Nigeria do looters go to court to recover loot or oil blocks! 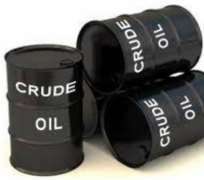 Oil became a curse in Nigeria. Many now wished oil were never discovered around their areas because of devastating effect it had, leaving their land an environmental swamp. Farmers cannot cultivate crops and fishermen have been idled. Parent watched children restlessly forming gangs of kidnappers, thugs used by politicians and militias as a way to make a living and use the poor’s plights to enrich themselves. Yet, all the planning to divest away from oil have not materialized after many years. Right now, it is a race against clean energy. Many countries have promised to stop producing automobiles that are powered by oil in about ten years or less. While fear has griped right thinking Africans, we are still waiting for African innovation in automobiles powered by other forms of energies like electric, water, hydrogen or just air. Our scientists are too busy looking for the next meal. So, it is not that we do not have brilliant scholars and well skilled people in Africa that can see beyond crude oil. They are either unmotivated, underemployed or busy scraping or eking out a living. In other words, academics are far from their minds. It is cost-effective to keep scholars in their research space. But many of them would make a better living as politicians. This is the reason you would find many magnificent folks resigned to politics instead of using their brains. What is this writer, as any other Africans doing about it? God created all humans with talents to make contributions. We always leave the task to the other guy and preach to others. This writer would have to go back to school in his older age and train to become an engineer with specialty in digital field. This may not be a good excuse since there are some billionaires that can sponsor research into space or Car Company, called Tesla. Well, this writer is far from being a billionaire. You see O, you see how Africans make excuses? We all yap and yap. When it is time to put talk into action, we come up with variety of reasons; why we cannot. For a long time many of us have been thinking how we could make a difference but the tasks are so overwhelming, many do not know where to start. We helplessly watch Africa as those in power waste resources. Instead of leveraging the income from oil, hedonists decided to lavish it on themselves. We have many Africans working hard at home but they are overwhelmed; can’t form quorums. Luckily for this writer, he found a niche. Those of us that qualified in those days were lucky in the sense that Nigerian Government used to come overseas and recruit. Actually, most were called: it was time to go home before we killed our mothers. There was no reason to waste our talents elsewhere when it could be better used in Africa. The truth was we were only tolerated. We could not wait to go home in view of discrimination, some lack of respect and appreciation. All of us cannot be politicians. Okay, time has changed. Well-qualified Africans are now afraid to go home. Those that went were not gainfully employed. Many had to return and face the music of being under-employed, disrespect despite their amazing talents. Mothers no longer cry for their children to come home. Indeed, they ask you not to come home. Parents want returned tickets so that they can enjoy the “civilized” environment where everything works. Even, well-qualified folks at home are looking for ways to get out. The highly qualified or highly skilled are looking for ways to do anything overseas until they can pass regional examinations and work in their professions of choice. Many are disappointed because they had to seat those examinations many times. What some of them do not realized is that they actually passed the examinations but most professional bodies regulate the amount of workers allowed to practice. African countries spend a great deal of money to train medical and natural scientists. It is sad and disappointing when it was published that 85% of trained Nigerian physicians are lost to developed countries! There was a publication on social media teaching physicians that want to leave the country for greener pastures. It informed them of the process and the examinations they need to take before departing their shores. We are losing our most expensive investments. Many trained Africans in social and other sciences were given scholarships to train overseas. But once they finished, they were lost to Africa. During the first coming of Rawlings as a military officer in Ghana, he detained some scholars that came back on holidays until they could pay back their scholarships. He could have been less harsh, but he made a point on brain drain. The days most African politicians used their brains are over. It was used to get Independence and fight off colonialist powers. Once the next generation got into position of power, replacing those that oppressed them, African politicians started oppressing their own people. Africans politicians are so wicked, some people think they are worse than the colonial powers. There is no difference between the African rulers of Africans and the African chiefs that sold us into slavery in exchange for mirrors. When they ran out of slaves, the chiefs and kings started capturing one another to sell as slaves. As they were disembarking from the slave ships, slaves they had sold overseas recognized them. Humiliated chiefs faced subjects they had sold off. A few wanted to bow to their chiefs; other slaves kicked them in the groin. There is a difference between today’s Africans and those taken as slaves in those days. In those days, slaves revolted at home, revolted on the high seas, inside the slave ships and they also revolted in the New World. Many of them actually jumped into the high sea and die, than land on the shores of strange lands. They fought their oppressors as Mau-Mau, many as night marauders fought against night marauders that came to capture them. Yes, African slaves were brave and some lynched and used jungle justice against those chief and kings. Today Nigerians are so fed up; they take it out on poor hungry folks stealing food in the markets. They are beaten mercilessly and some are lynched. These are symptoms of angry folks that hate dishonesty and went too far to show their displeasure on poor soul instead of leaders. The Buhari/Idiagbon would have got those looters, worse than armed robbers, faced a firing squad. Nigerians recoil when asked to go after their oppressors. Jungle justice for politicians that loot us blind is undemocratic, contrary to the rule of law and due process. Even looters came out and said they loot because we allow them to. So, French and Russian Revolutions or Romanian executions were democratic, they followed the rule of law and due process, abi?